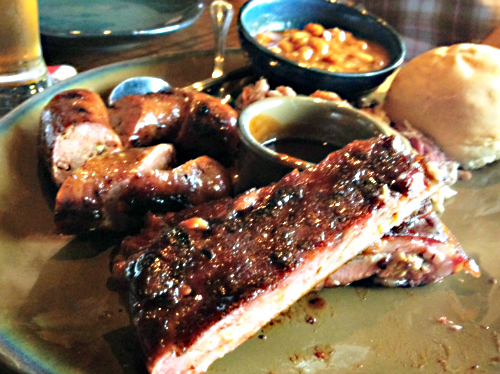 As the name implies, Q39 serves barbecue and is located on 39th Street in Kansas City. 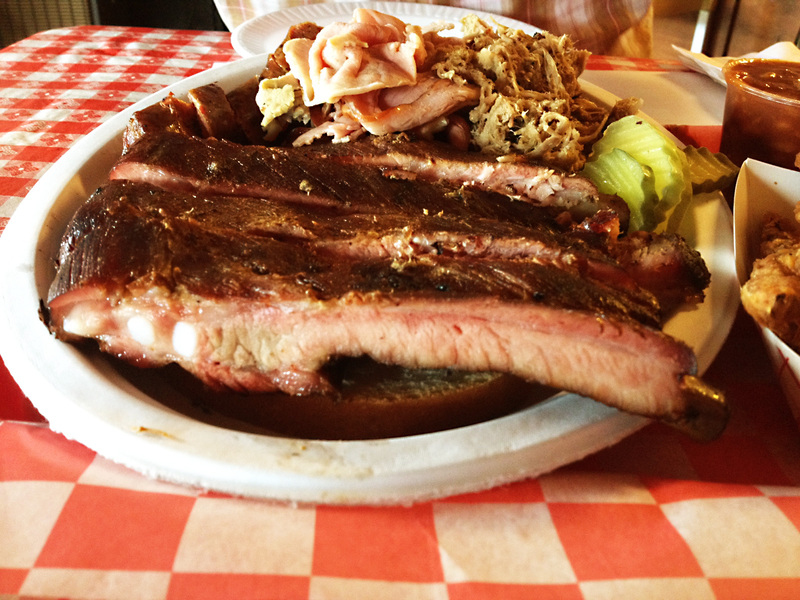 This is about where the similarities with other Kansas City barbecue restaurants end. When I had first heard about Q39 from a newspaper article, I was pretty skeptical. The author mentioned things like how hip and trendy the location, menu and atmosphere are. However, “hip” and “trendy” are adjectives not usually used to describe your typical barbecue joint. You are more likely to hear worlds like “old” or “smoky”. 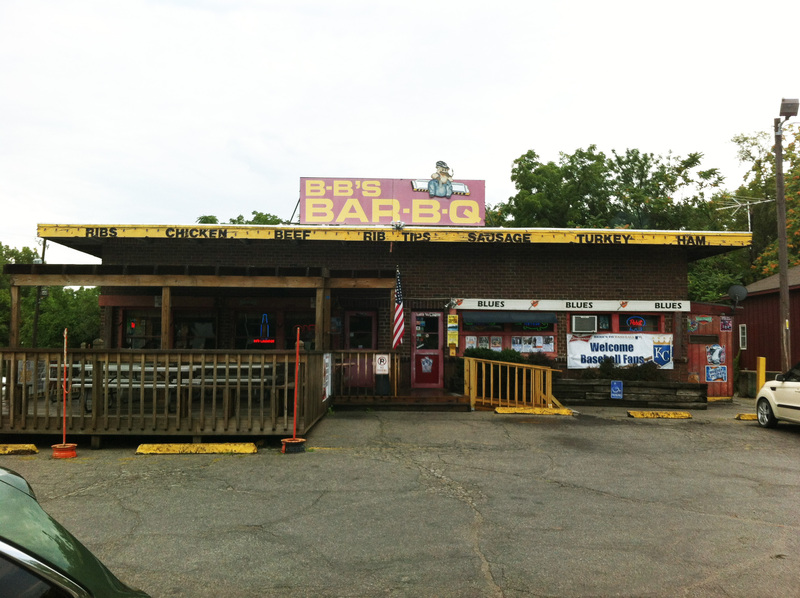 Lord knows there are lots of old, smoky and rustic places in Kansas City to get good barbecue. One of the best, Oklahoma Joes, is located in an aging gas station. My guess is that Q39 creators Rob Magee and his wife Kelly knew that they were going to have to do something very different in order to set themselves apart from the many others. If setting themselves apart was the goal, they most definitely succeeded! 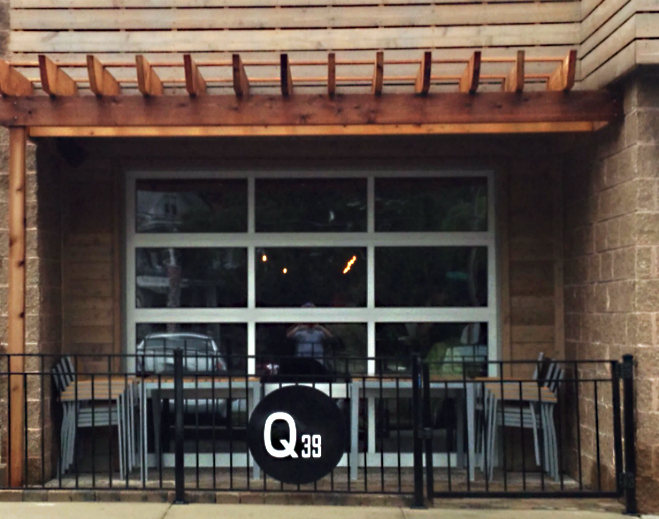 According to their website, “Q39 calls the eclectic 39th Street area home. Its neighbors are the Country Club Plaza, Westport, Downtown…)” This is a part of the city now home to a much younger and certainly more liberal crowd then the outlying KC suburbs. On that end, the décor is much more modern and hip than competitors. The menu includes a full bar, and many wood fired options. For me I chose to skip the salmon and salads and go straight for the pork! When my barbecue plate arrived I learned quickly that I had better throw away all my preconceived notions about what a barbecue restaurant “should” be. Don’t let the eclectic crowds and fancy menu full you, this barbecue is absolutely fantastic. 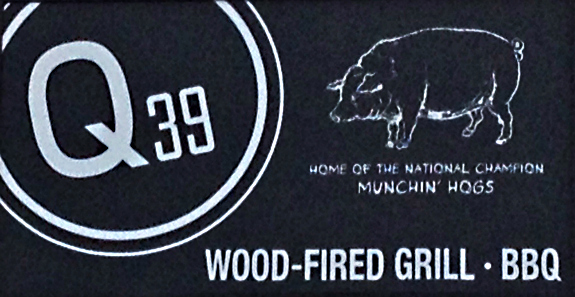 As it turns out, Q39 is home of Munchin’ Hogs, a competition barbecue team with one of the best track records in the Kansas City Barbecue Society. As a KCBS judge I know competition barbecue and I know the food served to me at Q39 could likely win any contest on any day. The ribs were delicious, the sausage was excellent and the pulled pork was absolutely perfect. In fact their pulled pork is the epitome of what Kansas City style barbecue is all about. Pair it with their traditional KC style sauce and you have a grand slam home run that flies out of the barbecue park! Do like I did, and throw away your old ideas about barbecue as fast as you can. Get to 39th street and let Q39 teach you a new thing or two. While staying at Fort Scott’s Courtland Hotel, I asked Frank, the owner, for restaurant recommendations. Frank Suggested Crooner’s Lounge. 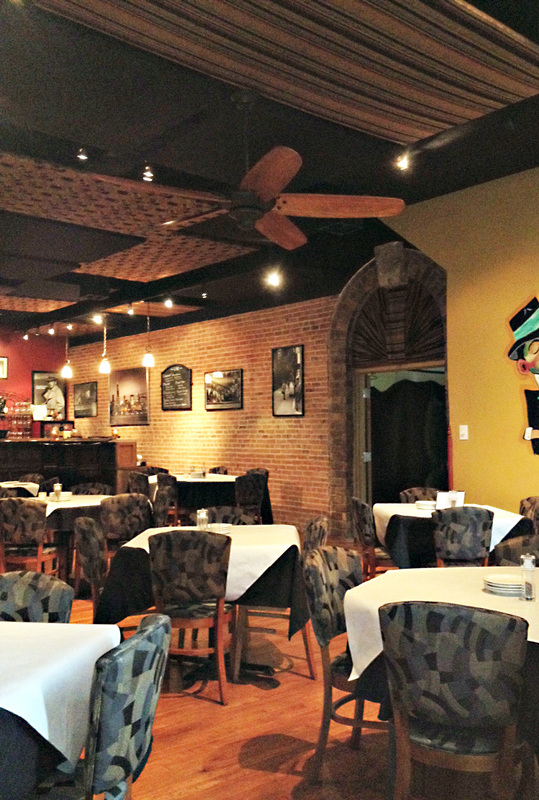 Crooner’s Lounge is a fine dining establishment located on South Main Street in the historic Fort Scott, Kansas down town area. The restaurant is open on Wednesday through Friday evenings from 5 to 9 p.m. The menu includes a variety of options such as steak, pasta and seafood and there is a full bar selection available. 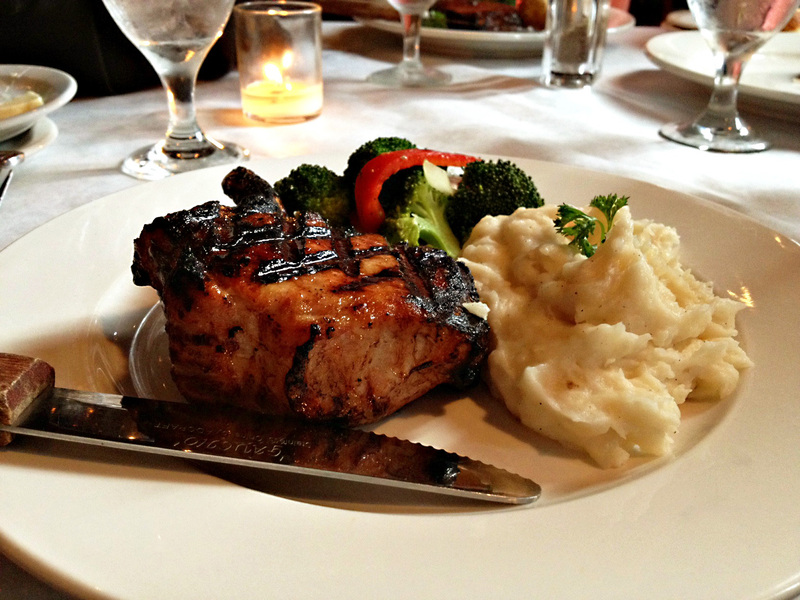 I was excited to see that the menu also included a delicious (and huge) pork chop. The staff went out of their way to make us feel at home, and even gave my son a complimentary ice cream dessert. They do have a rule that no hats or caps are allowed in the dining area (a good manner that should be practiced at all eating establishments excluding bars or lunch counters). Adjacent to Crooner’s Lounge is the Liberty Theatre, a music and event center, featuring many popular regional and nation acts. The theater can also be rented for weddings or other events. Crooner’s Lounge is open on Saturday’s when the theatre is hosting an event. Downtown Fort Scott, located just over an hour from Kansas City and home to the National Park Service’s pre- civil war area Fort Scott, is a travel destination that should be put on the schedule for any antique, history or architecture enthusiast. 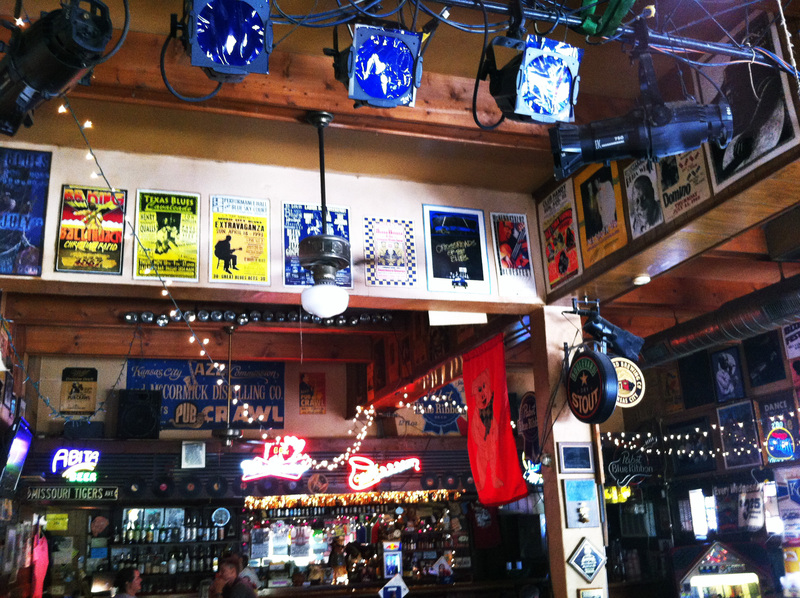 Be sure to check out Crooner’s Lounge and tell them that you heard about them on www.inpursuitofpork.com. According to a Pitch Magazine article, Spin Neapolitan Pizza has the best pizza in Kansas City. Now I don’t make it a habit of eating in franchise restaurants when there are so many wonderful and small locally owned places all over Kansas….but if it is rated as the best in the entire city….I have to check it out. Besides, a pizza is one of the very best ways to eat some delicious pork and Spin Pizza is headquartered in Kansas City. 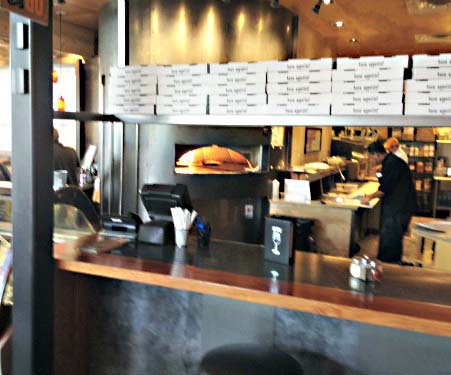 According to their website, Spin Neapolitan Pizza has six locations in Kansas City, four in Orange County, California and one coming soon to Omaha, Nebraska. 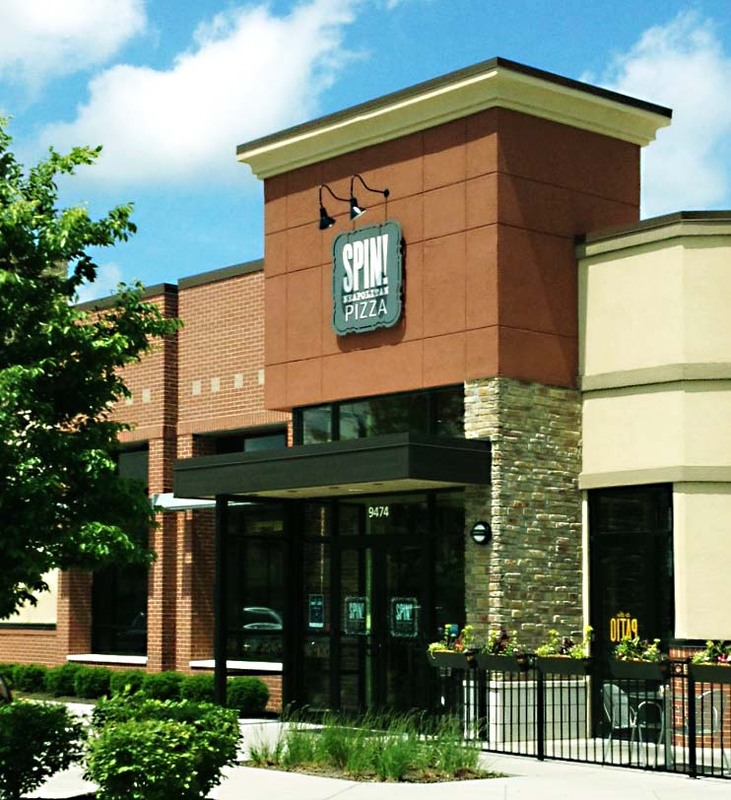 Unlike the bigger national chains, Spin Pizza offers unique menu items like flatbread spreads, soups, gluten free crust, non dairy cheese and a full wine menu. While at the Lenexa, Kansas location at 9474 Renner Blvd, I ordered the Tre Carni (three meat) pizza with roasted meatballs, sausage and pepperoni. This pork lover’s pizza was delicious. The more I ate it, the better I liked it. After my wife and I finished the entire pizza, I wished I had some more! 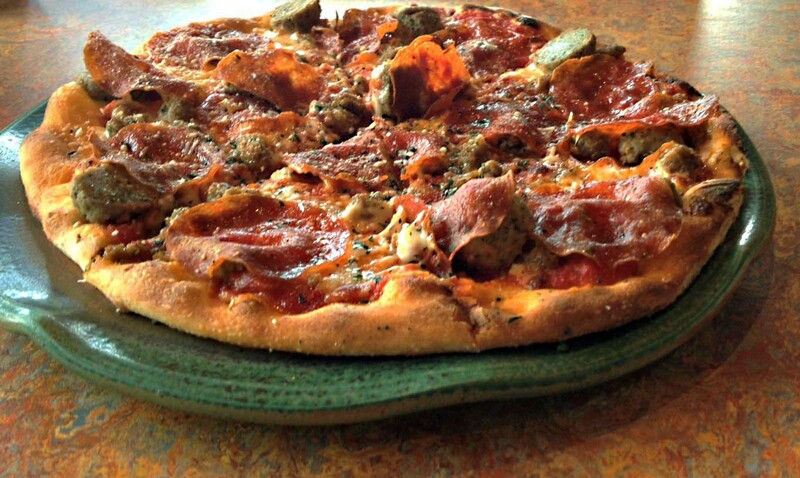 Is it the best pizza in Kansas City?….I’ll let you know after I’ve tried all the rest!